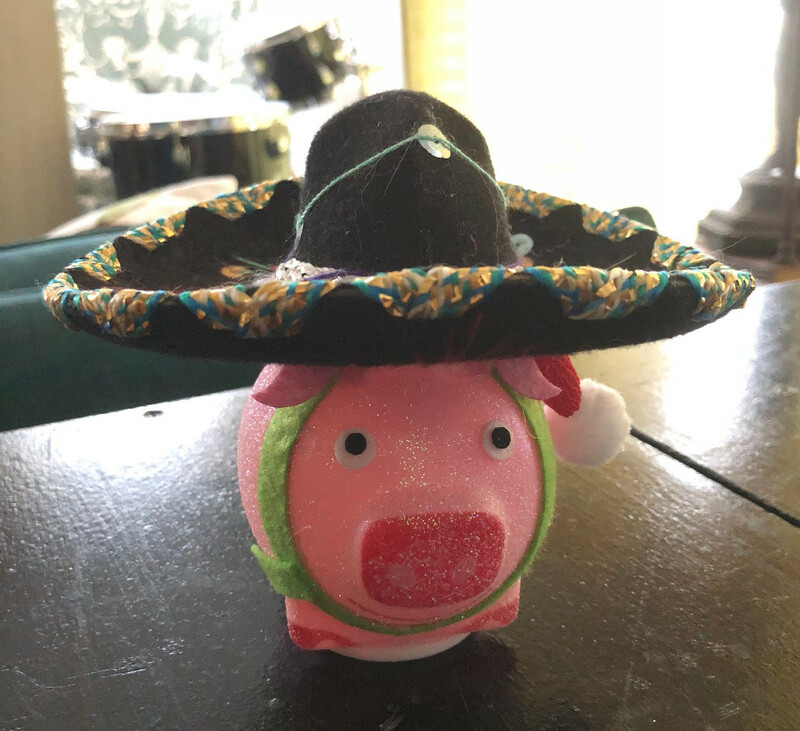 Greeted at the door by a color-changing light up pig wearing a mini sombrero, for this first Vegan Bake Club event of 2018, we had a Fiesta! 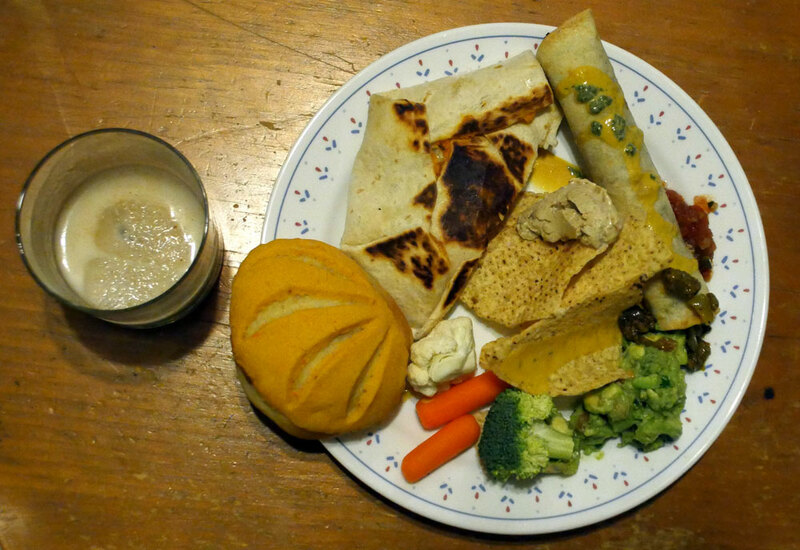 After stuffing ourselves with appropriately themed food, we watched Jacques Pépin make Tibetan bread, which was not exactly on theme, but if you haven’t tried making this easy bread in a frying pan, you might want to check it out. 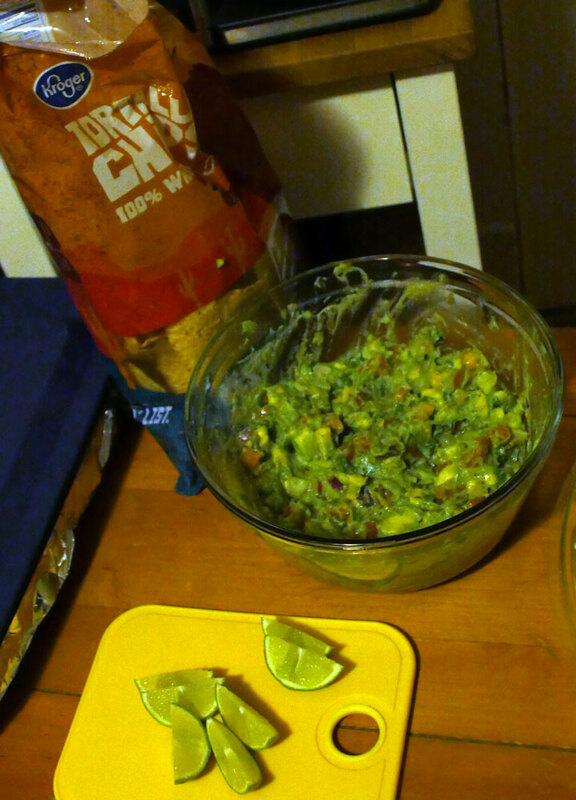 Drew made a chunky guacamole with avocado, tomato, onion, lime, cilantro, jalapeño, and Morton® Nature’s Seasons® seasoning blend. 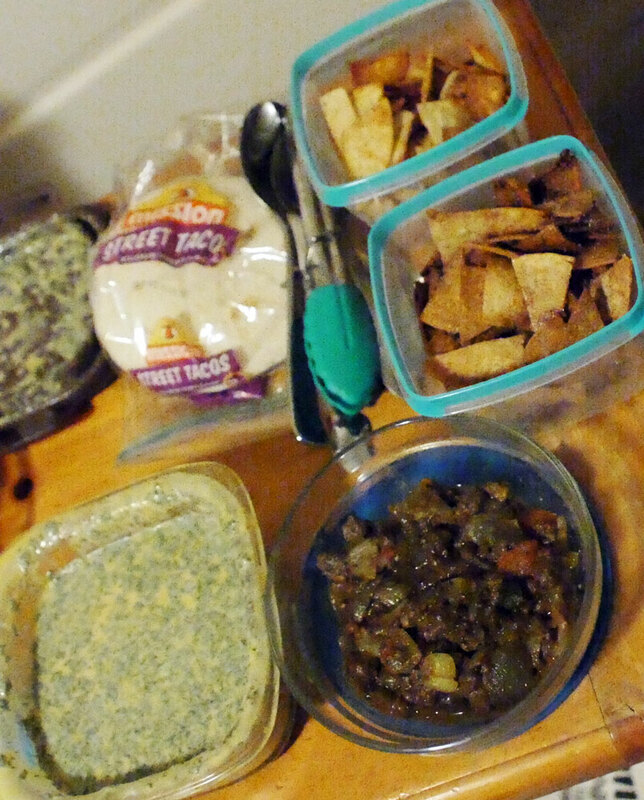 He served the dip with tortilla chips and lime wedges. 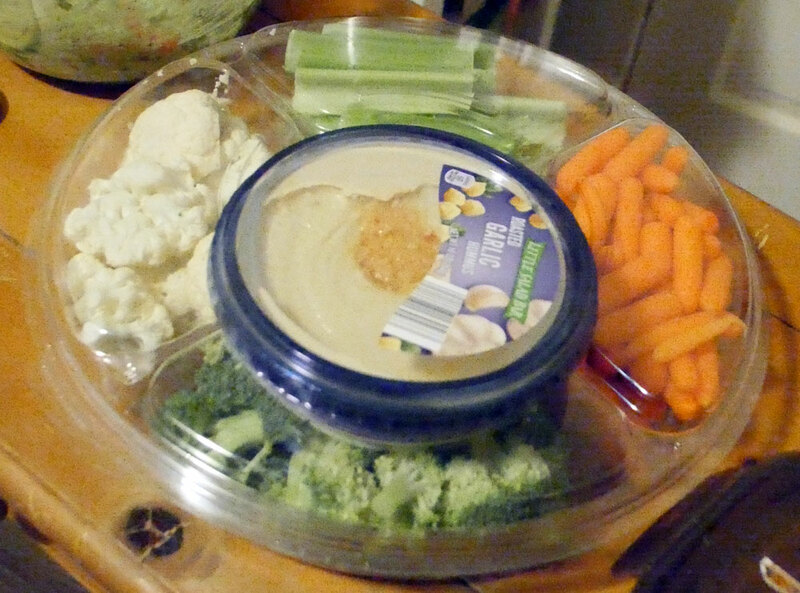 Darin brought a veggie tray offering baby carrots, celery, and cauliflower along with Original Bitchin’ Sauce and roasted garlic hummus. 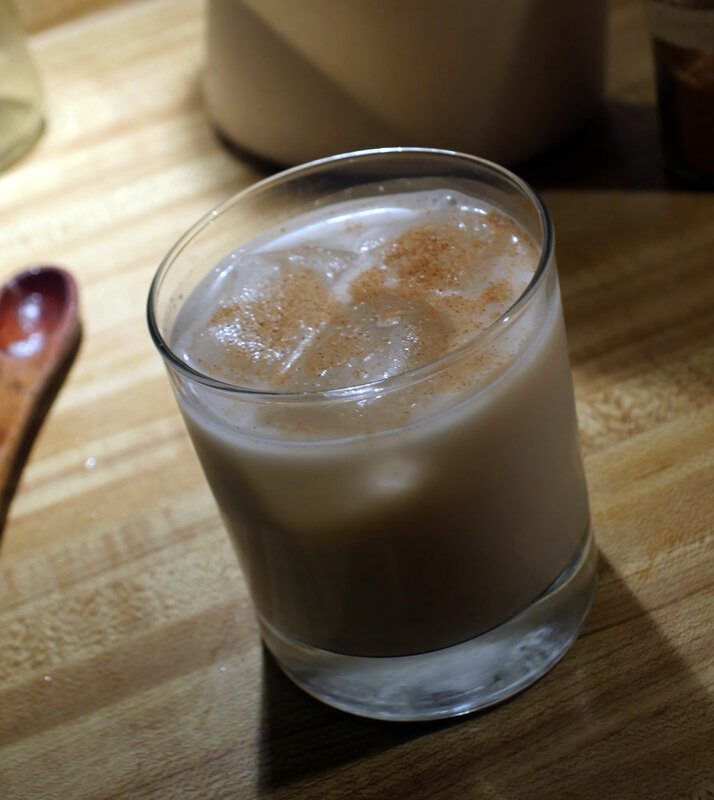 After researching recipes, Slynn made her horchata with a rice and almond base. She started by soaking rice, almonds, and cinnamon sticks in water. After five hours, she strained the water out and discarded it. To replace the evaporated milk that the recipe she was following called for, she reduced almond milk on the stove by half (Slynn didn’t think this did much special for the horchata; next time she plans to try coconut milk). She processed this milk in a blender with the rice almond mixture. After straining the concoction, she added 2/3 cup sugar (on the less sweet side of horchata), vanilla, water, and more almond milk. She served the beverage over ice and sprinkled it with extra cinnamon. 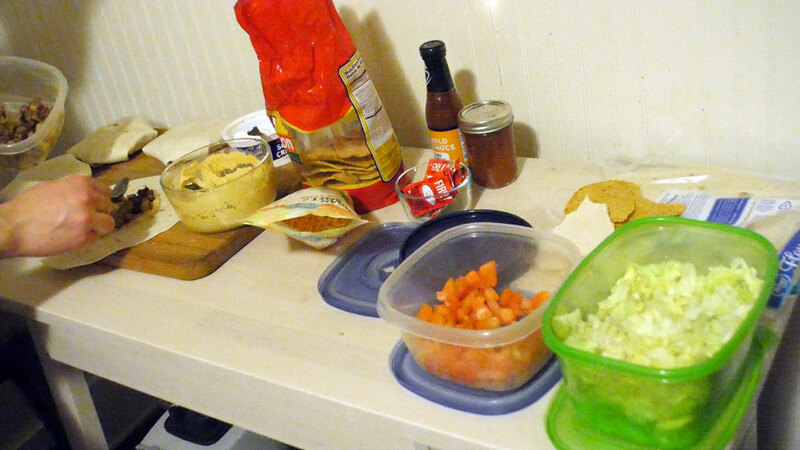 Shannon looked at a lot of taquito recipes and talked to a superb taquito making co-worker for tips. She made the flour tortillas from scratch with flour, water, oil, and salt. For a filling, she used canned refried black beans spiced with taco seasoning to which she added sautéed poblano peppers. 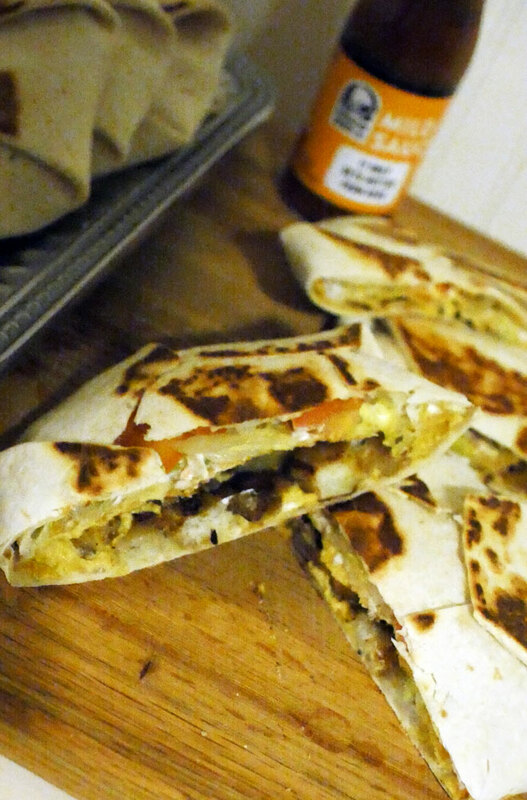 She rolled the bean mixture up in her tortillas and, on some, added Daiya Pepperjack Style Shreds. 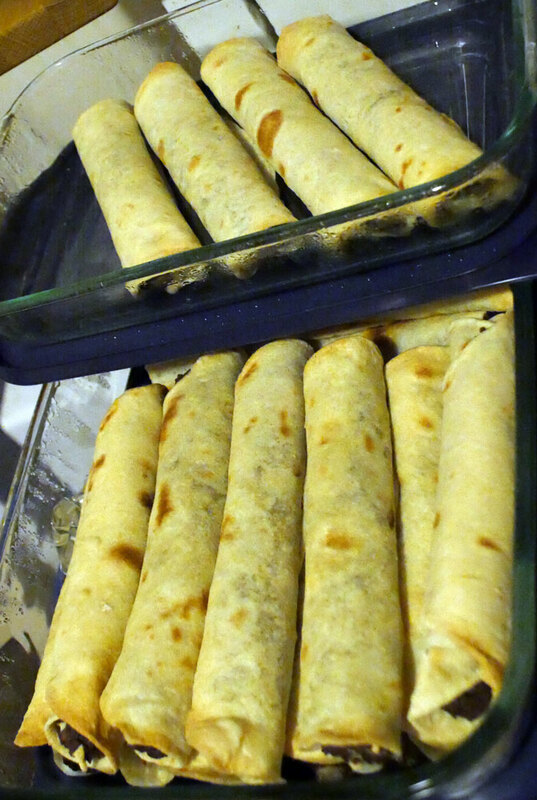 Then she baked the taquitos because she was having trouble working the deep fryer she had borrowed for the occasion. Ramon made two types of crunch wraps, one featured fiesta potatoes and the other, quinoa taco meat from the Minimalist Baker’s recipe. Layered on both kinds, he had cashew nacho cheese (extracted from a macaroni ‘n’ cheese recipe he likes) spiced up with a copious amount of Valentina Hot Sauce, a tostada, vegan sour cream, iceberg lettuce, tomato, and cheddar style Follow Your Heart Vegan Gourmet® Shreds. 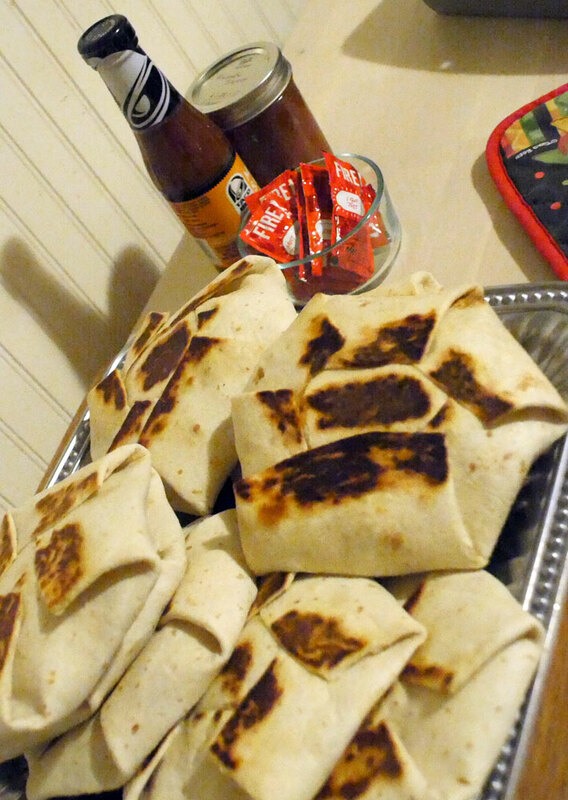 The layers were encased in neatly folded flour tortillas and cooked on each side for three minutes in a frying pan. He even provided us with packets of Taco Bell Fire Sauce! 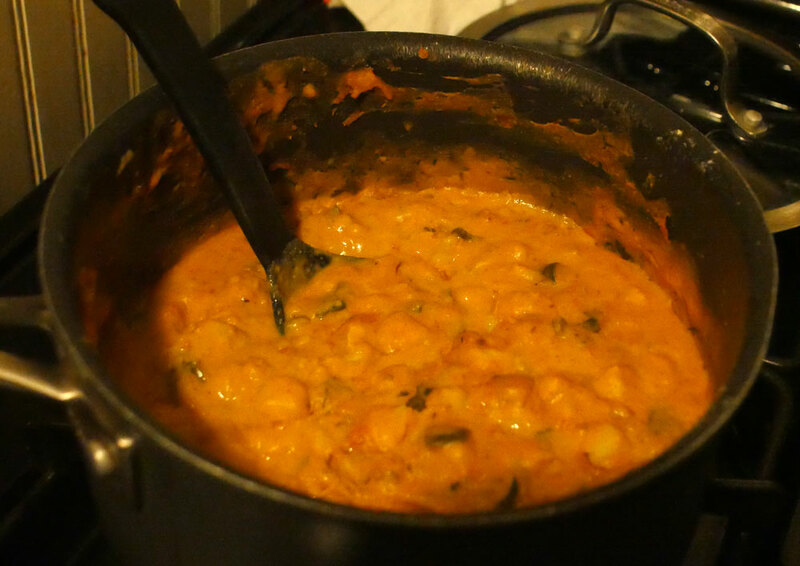 Billy made a vegan queso with nutritional yeast, flax milk, chickpea flour, salsa, vegan cheese shreds, Earth Balance® Soy Free Buttery Sticks margarine, garlic powder, paprika, and salt. To that he added hominy, lime juice, and from his garden: bell pepper, arugula, cilantro, and one small jalapeño. Wanting to make pan dulce, Lauren opted to make conchas, a sweet yeast bread hosting a topping cut with grooves that resemble a clam shell. 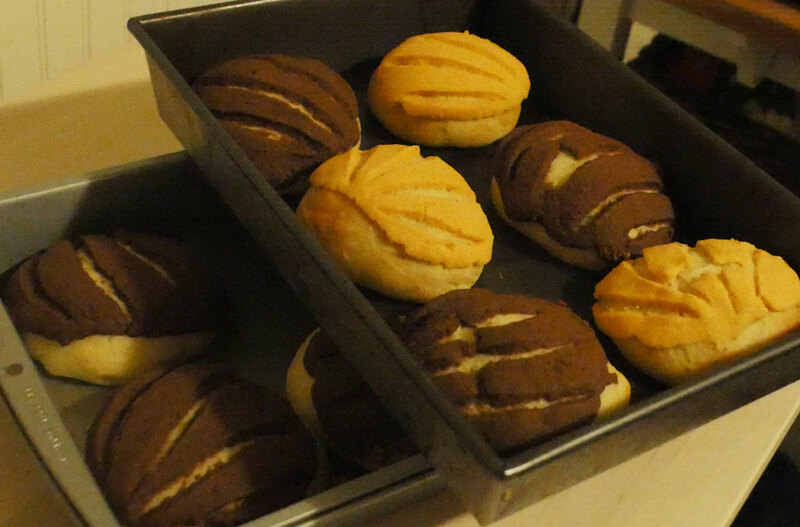 She worked from an already vegan conchas recipe from Thyme and Love, then added ground flax seed to the sweet dough and cocoa powder and cinnamon to the topping. When she ran out of the chocolate topping, she made a vanilla topping with a few drops of food coloring added for fancy concha looks.